With the advent of accounting back in time, one of the most prominent words that made its way into the business dictionary was bookkeeping. Bookkeeping, in its broadest terms, is the process of keeping a record of all financial transactions of the business. This process requires drawing up several accounts that contain various transactions taking place within the business. The process of bookkeeping in accounting has been a tedious task since its inception, as it requires drawing up several individual t-accounts to record journal entries for the five major accounting elements – assets, liabilities, capital, expenses, and revenues. An important and commonly used classification is that of Ledgers, General Ledger and Sub Ledger. In order to advance the discussion on General Ledger, a brief description regarding the functionality of the ledgers is necessary. 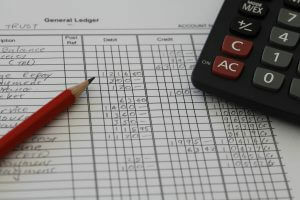 In accounting, a ledger refers to a record of transactions documented in a chronological order. These transactions are captured from the journal and are organized by account heads. These ledgers basically provide a historical and current summary of each transaction related to a specific account. This summary is considered to be the most reliable source for drawing up the financial statement at the year end. For instance, the sales ledger has all the sales related transactions. Sales return ledger maintains transactions related to sales returns. Therefore, the sales figure displayed onto the Profit and Loss Account may be verified from the sales ledger directly. What is a General Ledger? As previously identified, cash related transactions will have their own cash ledger and sales related transactions will be contained in a sales ledger. The General Ledger is one big master account that comprises of data from these individual ledgers, compiled together, in a single format. The General Ledger is also known as the book of final entry. The General Ledger is used to post information on financial statements – Balance Sheet and Profit and Loss Account of the business. Sub Ledgers is yet another related category in accounting and bookkeeping, sometimes known as the subsidiary ledgers. Updating the sub ledger is similar to updating a General Ledger, however, unlike the General Ledger, Sub Ledger comprises of just a few accounts. In recent times, automation and use of accounting software has made the traditional form of bookkeeping outdated. Traditionally, a General Ledger used to resemble a register or book, where all the transactional data was kept. Each account would occupy one page in the General Ledger and the General Ledger comprised of all accounts mentioned in the Chart of Accounts. The format of a General Ledger included five different columns for each heading. The main headings would include Date, Transaction Details, Debit, Credit, and Balance. The header would usually include the name of the account and its given number. An updated General Ledger would demonstrate the current balance of each account as on that particular date. For all businesses, a traditional depiction of the General Ledger is likely to be more comprehensive, as given above. In the present era, traditional bookkeeping has become obsolete. The introduction of accounting software has made accounting and bookkeeping an automated process where numerous business transactions may be recorded and posted to their respective accounts simultaneously, without the need to manually post entries into the relevant account heads. This allows for speed, accuracy and cost saving. Enterprise Resource Planning (ERP) solutions, such as SAP and Oracle, have revolutionized the accounting world at its core. The computer software automatically posts entries onto the General Ledger from the respective account ledgers and calculates the current balances according to the specified date. Hence, understanding the functionality as well as the structure of a General Ledger is crucial to business accounting procedures. The simplest form of its explanation has been provided here.